White dresses, blue shoes, pearl necklaces, black tuxedos and hot pink tafetta gowns. If this were a cheesy Hollywood movie, that’s what the wedding party would be wearing. Luckily, life is not like the movies. Today’s couples are all about showcasing their individual styles at their weddings, and there’s no better way than by wearing something truly unique! Floaty pastel dresses covered in vibrant embroidered florals are popping up all over social media and on runways. 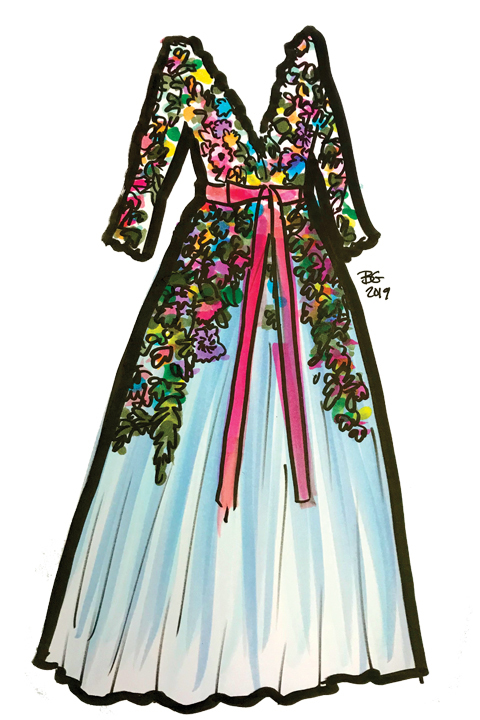 Fashion house Marchesa made waves last year with an elaborate floral dress as part of its Resort 2018 Collection. Their 2019 Collection promises even more florals and even more color. 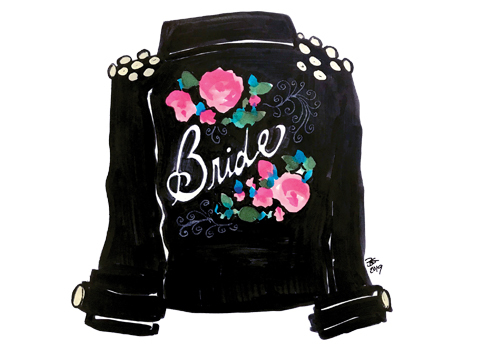 Add a little edge to a bridal look with a hand-painted leather or denim jacket. An artist can letter a bride’s new monogram, married name, or even create matching jackets for the new Mr. and Mrs. Add splashy florals in the wedding colors for a sweet touch. A hand-painted jacket will be a wearable work of art for the big day and be a keepsake for years to come. 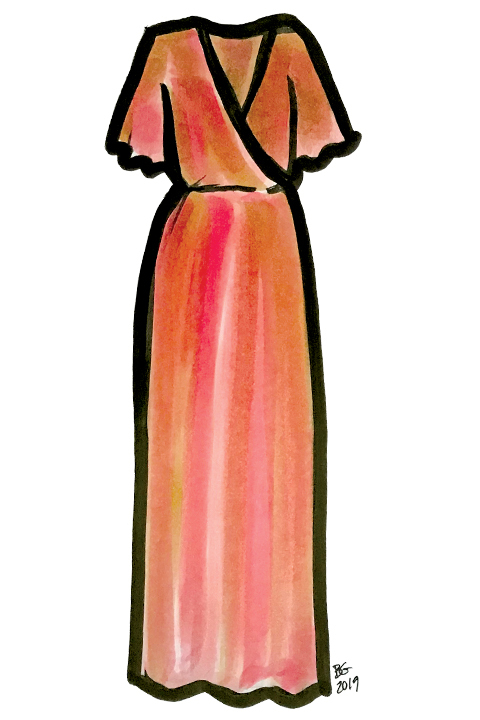 Gone are the days of scratchy bridesmaid dresses. Today’s brides are picking out dresses in fabrics that their ladies will want to wear again and again. Winter and early spring weddings will see a lot of velvet dresses in some surprising pastel colors like coral and yellow. Satin slip dresses in burgundy and cobalt are a promising favorite for summer and early fall weddings. Brides can dip their toes into the colorful wedding dress trend with dip dye and ombre bridal gowns. Beautiful white gowns gradually transform into a riot of color. Be sure to get a photo of the shoes peeking out from the hemline of the dress if you go with this trend. Today’s groom is taking his wedding day wardrobe up a notch. Casual shirtsleeves and khaki pants are making way for the classic three piece suit. Navy blue and charcoal suits are especially trendy at the moment and work for a variety of wedding themes with accessories.